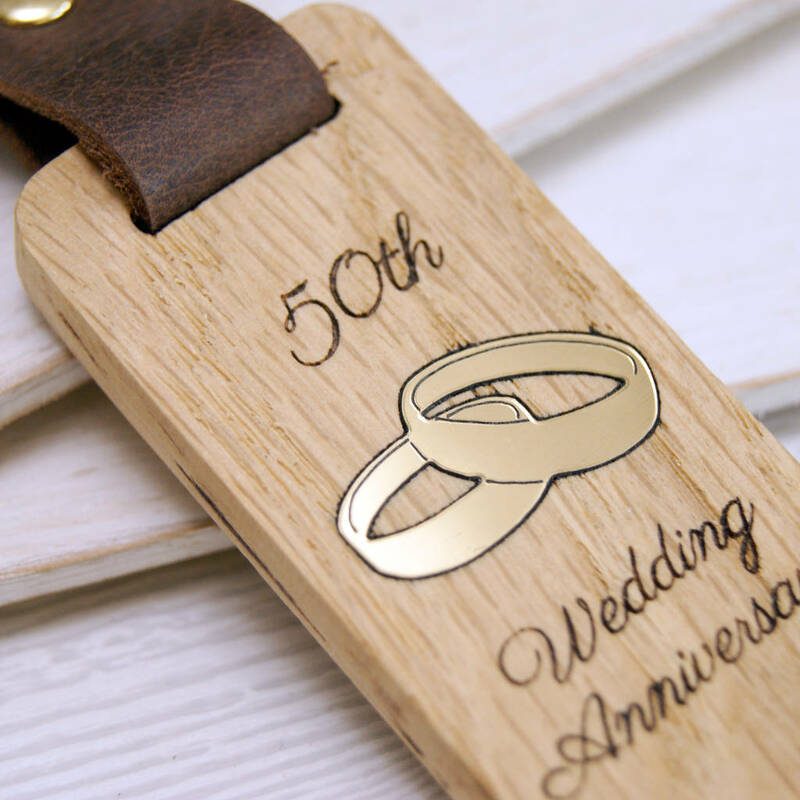 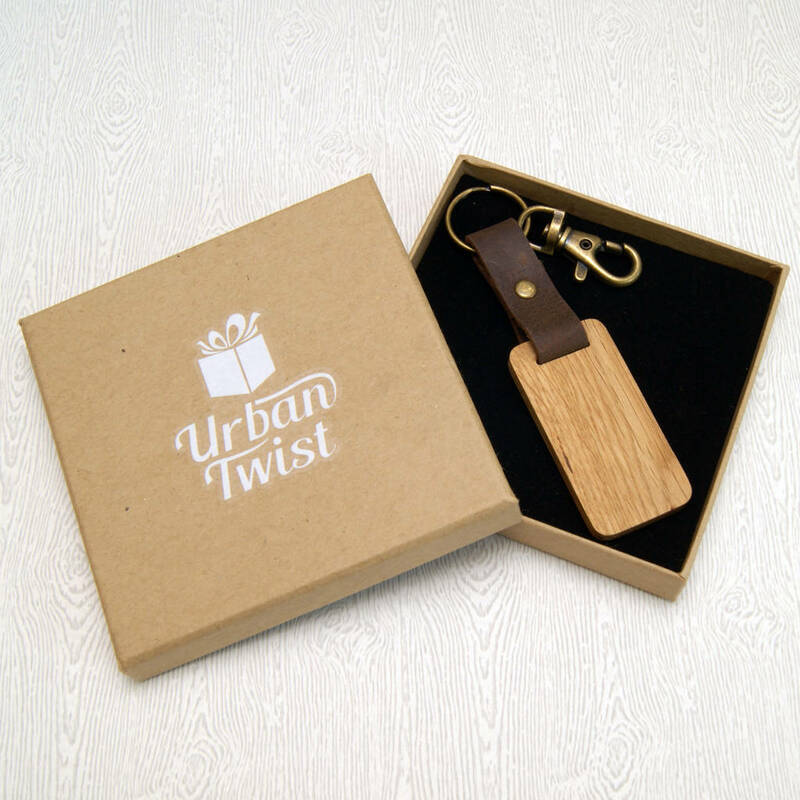 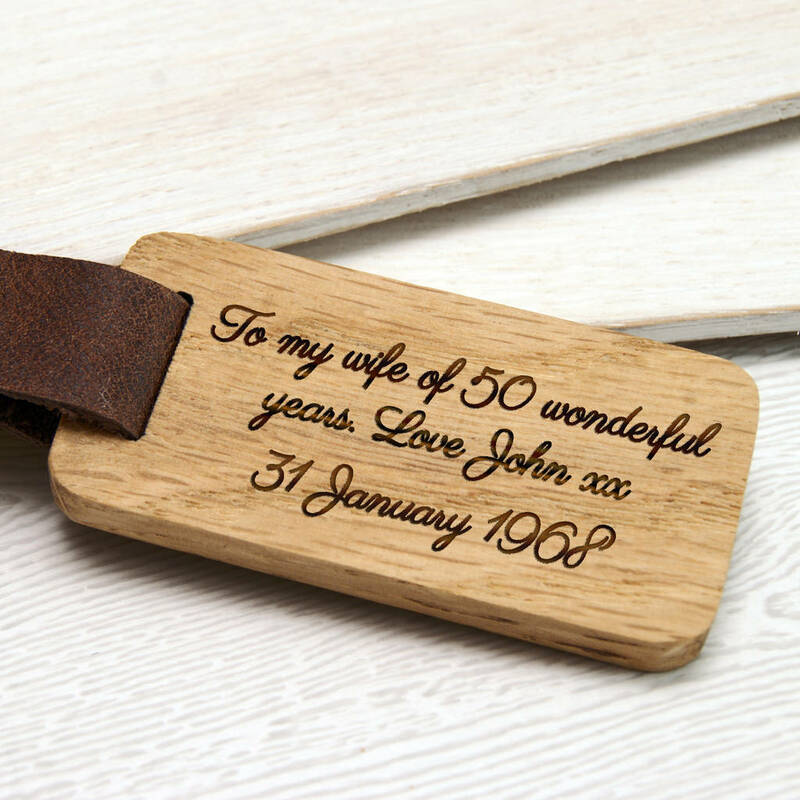 A personalised engraved wood and leather keyring that is the perfect little gift to celebrate a 50th gold wedding anniversary! 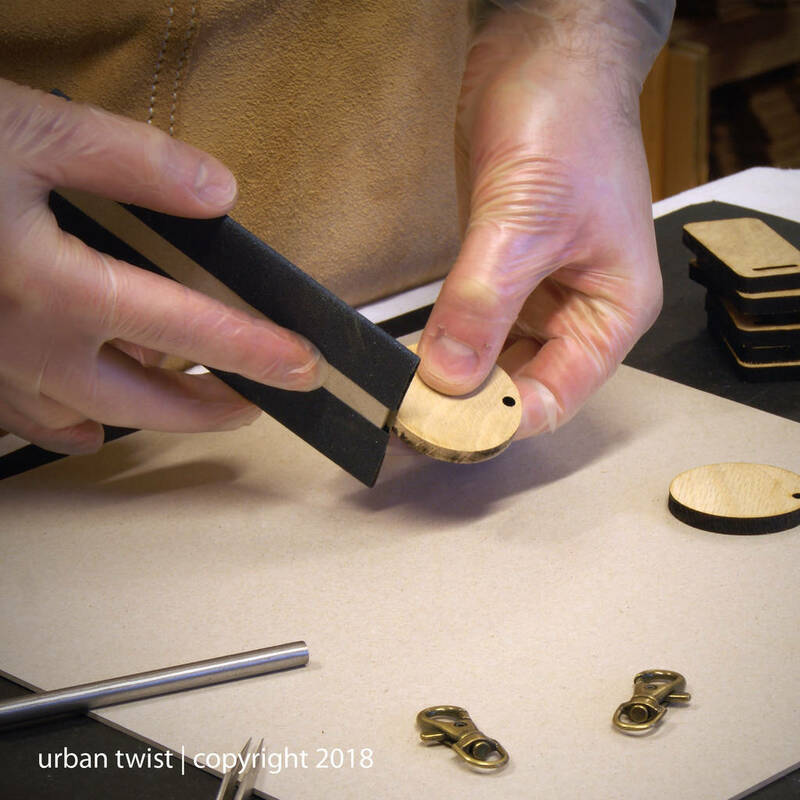 Each keyring is handcrafted in our Edinburgh based studio from sustainably sourced solid oak, genuine brown distressed leather and brushed metallic gold acrylic. 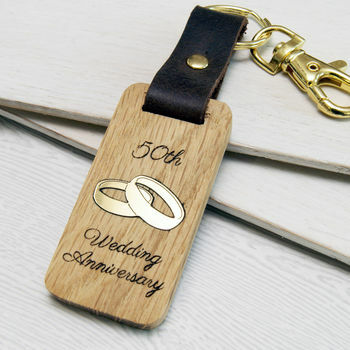 Additionally, each keyring comes with a matching gold coloured (brass) ring and lobster clasp, allowing it to be easily attached to your keys, bags or anywhere you would like!